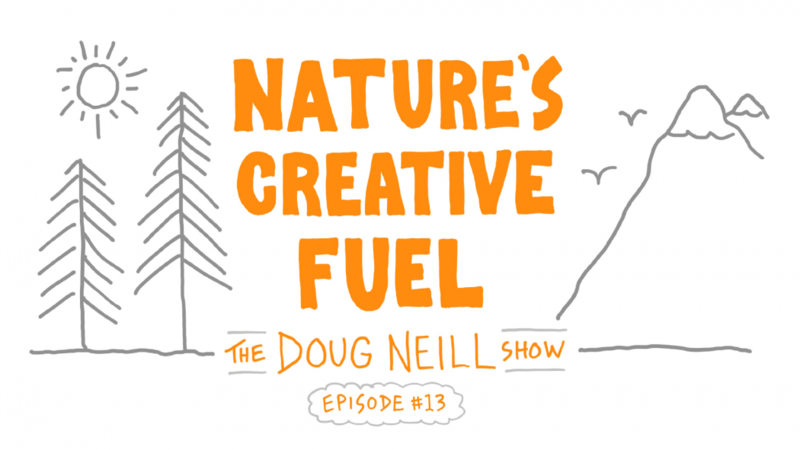 Exploring the role that nature can play in your creative life. How time spent in natural environments can produce a sense of renewal and bring momentum where before there was stagnancy. The podcast conversation between Debbie Millman and Ingrid Fetell Lee. My sketchnotes of that convo. Just because it’s common sense that doesn’t mean it’s common practice. I’ve heard that sentiment numerous times from Todd Henry on his podcast The Accidental Creative. A blog post that I wrote (and published on a since-abandoned site) about my walks in Forest Park. The surprising power of a window with a view. One of my previous offices was a windowless room in the basement of Wayfinding Academy (check out Michelle’s TEDx talk!). The only challenge of lots of natural light in my current space – makes it hard to maintain consistent lighting when making course videos for Verbal To Visual! An upcoming experience that could be the perfect combination of an immersive travel experience with plenty of passive stimulation.